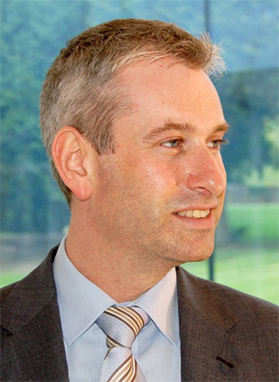 Ever since the UK’s financial regulator introduced a requirement for all financial service companies to record their mobile phone conversations, the evolution of available technology has changed the landscape considerably. Much of the focus has been on voice recording, but only recently have a number of call recording vendors started to mention SMS and instant messaging in their marketing, so the awareness that non-voice communications must also be recorded as part of the regulatory requirement is clearly growing. Organisations in the capital markets that are mulling over options for mobile recording should factor in the non-voice aspects, quizzing their prospective suppliers on how they achieve that part of the requirement. In considering this multi-mode recording requirement, an important dimension is how the communication is recorded. There are currently two approaches in use: ‘app-based’ and ‘network-based’. The app-based approach works when the app on the device detects that an inbound or outbound connection is about to be made, and routes the call through a recording server so that a copy can be made. App-based solutions have to rely on the rerouting of calls which often leads to time delays and potentially the calls quality degrading. Feedback from the market shows that the app solutions are clunky and more worryingly, easy to by-pass leaving financial organisations open to risk. The other way of carrying out mobile call recording involves putting the functionality to enable it in the mobile network, where it is triggered based on which SIM card is making or receiving a call. With this approach, the functionality in the network detects when an inbound or outbound call is about to take place and triggers a recording. The main advantage of the network-based approach to mobile call recording is that it requires no intervention by either the end user or the corporate IT department, since the recording functionality resides in the SIM card, which comes directly from the operator. This also means that there is no significant increase in delay in the call connecting, so the end user experience is not impaired. TeleWare’s innovative software resides in the network and it is the ownership of the SIM determines which network to route to. It is this technology which triggers recording on all mobile devices – smart phones or tablets. We have found this approach to be the most elegant and robust. The most obvious development in the enterprise mobility market is the decline in market share for BlackBerry, as corporate buyers prepare for the company’s possible demise. 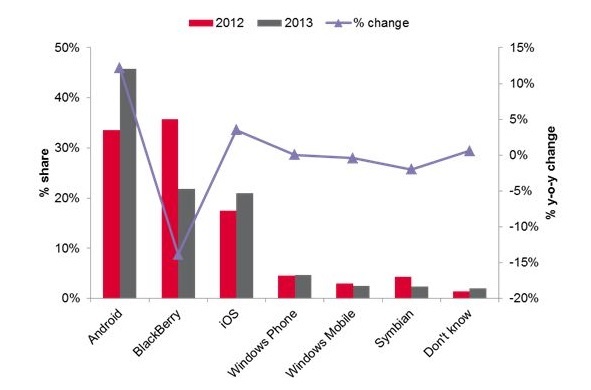 Telecoms research company Ovum investigated the advance of the ‘Bring Your Own Device’ (BYOD) trend, and discovered that of those employees still using mobile phones provided by their company, the percentage using BlackBerry dropped dramatically between 2012 and 2013. This decline in BlackBerry’s share of the enterprise handset market underscores a broader trend toward BYOD, which clearly favours non-BlackBerry devices, with which consumers are far more familiar. 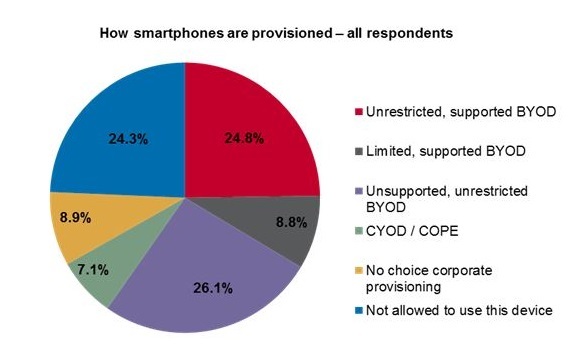 The Ovum survey, with replies from 4,371 corporate employees in 19 countries, reveals that between BYOD and ‘choose your own device’ (CYOD, in which the company still pays but offers a choice of handsets, also known as ‘corporate-owned, personally enabled’ or COPE), the choice of which handset a mobile employee is going to use is moving overwhelmingly towards the employee. The overall impact of this trend toward some form of BYOD/CYOD, together with the problems that BlackBerry has been having as a company, mean that the sole mobility platform designed from the outset for the enterprise market is on what looks like an irreversible path of decline. The significance of all this for the mobile call recording market is that the only mobile system that ships with a central management capability (i.e. the BlackBerry Enterprise Server) is waning, while those that come from the consumer world, such as iPhone and Android devices, are growing their share in the enterprise. This trend tends to favour more cloud-based solutions, particularly for iPhones, given the likelihood that Apple will never release an application programming interface to enable the development of a compliant recording app. Not surprisingly, there are early moves to meet the regulatory requirement and address the shortcomings of both the app- and the network-based approaches. An ideal solution would be one that was operator- and mobile operating system-independent and would work anywhere and on any device, with zero impact on the end-user experience. I believe there are efforts to embed call recording functionality into the actual mobile operating system, such that it would require no app to be loaded onto the device but would ship as default from the factory, with the functionality being turned on either by the customer’s own IT department or, potentially, by its mobile provider or a third-party global recording service provider. The one fly in that particular ointment is that in order for it to work, it would require the developer to negotiate agreements with all of the relevant mobile providers: BlackBerry, Microsoft, Google, and Apple.